Hellyeah recently announced its “Blood For Blood” National Blood Drive in conjunction with the band’s upcoming headlining U.S. tour. 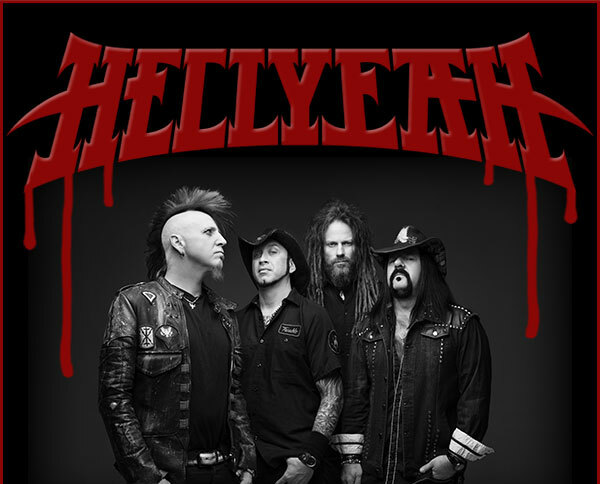 Fans who pledge to give or make a financial donation will receive a signed poster from Hellyeah and will also be entered to win tickets, meet-and-greet package, signed merch and more. Fans are instructed to head over to sleevesup.redcrossblood.org and pledge to either give blood or make a donation. They should take and post a photo of themselves giving blood on Instagram and use the hashtag #BLOODFORBLOOD. More info can be found at the site. The trek kicks off on Friday, February 6th in Las Vegas, Nevada and visits 23 markets through early March. Support on the tour will come from Devour The Day and Like A Storm. Blood For Blood was Hellyeah’s first album since parting ways with guitarist Greg Tribbett and bassist Bob “Zilla” Kahaha in February 2014.